The best time to tenkara fish is…when you can. If you can catch a pleasant weekday in December, all the better. 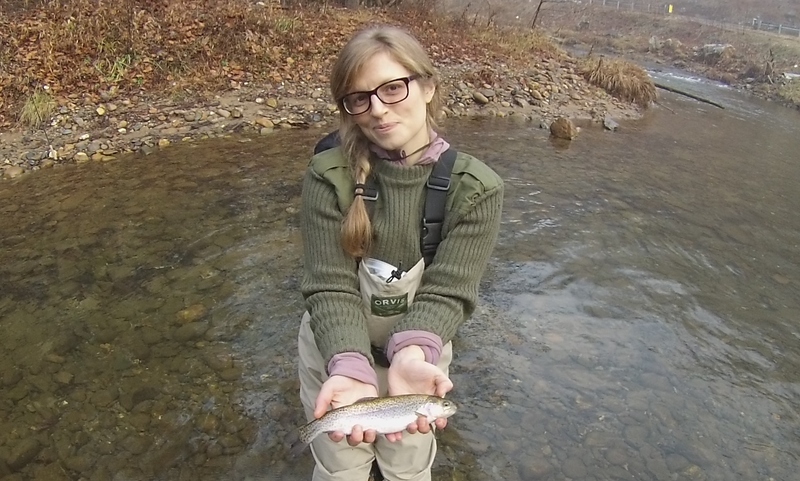 This tenkara first timer show the rewards of being willing to “carpe diem” with her first tenkara caught trout. This was the first of many we got today, and I’ll bet the first of many more for her and her new tenkara rod! This entry was posted in Uncategorized and tagged Asheville Tenkara news, fly fishing, tenkara, tenkara fishing. Bookmark the permalink.